The entity of acute antibody mediated rejection without evident complement deposition was validated. This can be subclinical or associated with overt graft dysfunction. Diagnosis requires serologic evidence (donor-specific antibodies) and histologic injury in the form of glomerulitis, peritubular capillary inflammation, intimal/transmural arteritis, or thrombotic microangiopathy. Chronic transplant glomerulopathy and new onset arteriosclerosis can be used to define the chronic phase of this disease. 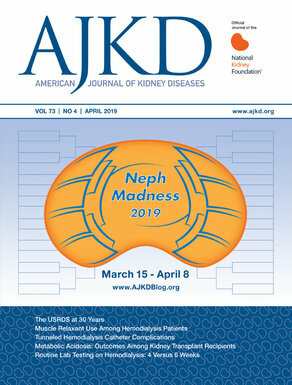 Electron microscopic evidence of duplicated glomerular basement membranes in >3 capillaries was proposed as the earliest acceptable stage of chronic glomerular injury. Donor kidney wedge biopsies of adequate depth were shown to be associated with less inter-observer variability than frozen core biopsy for evaluation of percentage globally sclerotic glomeruli and arterial intimal fibrosis. Digital evaluation of these biopsies was as effective as conventional examination under the light microscope. Polyomavirus nephropathy associated with less than 1% of the biopsy affected by viral cytopathic effect was found to be associated with better prognosis than biopsies with higher viral load. However, presence of fibrosis affecting >50% of the biopsy conferred a bad prognosis irrespective of the viral load. Note: Summary 1 of the Banff conference posted yesterday.